1. Overuse of the word “Reverie” to bring your character back from a flashback. I’ll allow only ONE per novel, and I’m not all that thrilled with that many. It bothers me because it throws me right out of the story because, in my opinion its saying, “I, the writer, have no idea how to effectively transition from a flashback to the present without using this bandaid of the word ‘reverie’. Further, I’ve been raised by wolves and exhibit other examples of bad breeding” Ok, that last bit was me being rude. But SERIOUSLY, the reader doesn’t need the bandaid, or if they do, it highlights a PROBLEM on the author’s end, and should be rewritten. 2. Jargon. You know who you are. If the first several pages of your book introduce more than 4 examples of jargonized speech, I’m not really going to be listening beyond that. I think its proper to introduce one nonstandard term or expression per two pages, and give us a few runs at it in context before hitting us with another one. Maybe I’m grumpy, at that, but as a good example: Bester used “jaunt” instead of “teleport”, used it often, in understandable context and it was organic to the plot. GOOD USAGE. Bad usage is when the author says something like “The omniruus were geflacting in the protobiotruss, which caused a shringtone backawackating of the surrambulated gelfetefishin process drive” NO NO NO. Don’t do that. 3. Bad character names. Characters whose name could never be pronounced, or are too confusing to be read: (note I’m using a semicolon) like T’at’q%in-cotalhwryzxxx-xatflmnt. I’m going to call them “Tat” in my mind so you might as well cut to the chase and call them Tat to begin with. This also includes names too obvious or cutesy. Like naming your monk Preacher and the assassin Killer. (yes, I’ve seen this done). I’ve said elsewhere that all you have to do find GREAT character names are to notice what your spam emails pretend they’re being sent from. Cool, usable fake names for free. Less insistent, but similar: try to use names that seem plausible in the world of your story. 4. Separate characters with all-too-similar names or descriptions. You know who is bad at that? “She had blonde hair in a braid and a rosebud mouth” Some of your already know who I’m talking about. That describes 89% of the female characters in that series, Mr. Jordan. Or if the names are too similar, and charisse, charlene, christy and chantale are in the same high school, I ain’t never gonna keep track of who said what. Seriously. Be more kind to your readers. 5. When the beginning of the book is ALL exposition or worldbuilding before anything freaking happens. Or, the main characters are described like a complete bio with all their defining details and history before they even speak one word or do one thing. C’mon, that’s frustrating AND boring at the same time. If you’ve painstakingly built a world, don’t painstakingly drive it into my head with a pain stake. Reveal it a little at a time. Let me digest it. Wait 5 chapters before I know he has a limp because a wild boar (not a wild bore) ran him down in a hunting accident. Start with just the limp. Make me ask myself “why is he limping?” for five chapters. ok, this is probably more pet peeve than anyone needs, so I’m done. Yeah, sorry about that. Now you will be cursed as I am, by the word “reverie”. I find it in to many books. It’s like when a friend pointed out to me the burned “dots” in the upper right corner of movies, which were hints to the projectionist the next reel needed to start. Once you know that, you can’t unsee them. You make an excellent point about point 5, yes, the other direction IS bad as well, good observation. which reminds me of a number 6, then. The manipulative overuse of “red herrings” in mysteries. I prefer it be a mystery because the clues are, well, mysterious. Not because for 800 pages a case is being made for the butler and then its the solicitor who was only mentioned once, on page 5, for a paragraph. THAT’S BLATANT MISDIRECTION, not a mystery. It’s like working at a complicated equation on the board, and then one second before the test is up, the teacher says, “oh, wait a minute, that should have been 5X not 5Y” and erases that part of the board and replaces it with the correct variable. IF there is no way for me to have unraveled it, except by cheating on the author’s part, This infuriates me. And kids don’t get on my lawn anymore. I planted poison sumac. So who’s a grumpy git now? no, no, this should never be done. Make sure the bottle is empty first. Don’t waste good beer on smug writers. 7: Books where the kindle version costs MORE than the regular version. Really? what kind of demonic accounting is that? “Let’s see, there’s no overhead, warehousing, retailing costs….so let’s charge MORE! muwhahahaha!” There are many books I’ve wanted to read and passed by because I only read on kindle anymore and I am not going to subsidize naked greed like that. My own book is on kindle and paperback, and the paperback obviously costs more, and the kindle version, less. That’s sane. Not that I am sane, mind you, but in terms of pricing, yes. In terms of life decisions… wait… let me check…. still insane. 8. The apparent inability of characters in a series to retain life lessons learned in book one and use that wisdom in book three. This is like the literary equivalent of watching a teen slasher flick and hearing the characters say “Let’s split up”. REALLY? have you been under a rock for the last century? Have you learned NOTHING? When that happens in a movie, I start rooting for the monster to kill them, thus upping the IQ ratio of the remaining gene pool. In a book, that’s an even more tedious thing, because now I have to sit through the main character either ignoring or re-learning what they should already know from past experience. This could take pages or be the underpinnings for the entire plot of book three. Just because its a new installment doesn’t mean the characters hit their mental “reset” buttons and start over. This is where I feel like I want to see an even match between two very good chessplayers, instead of one player just overlooking a move due to… I don’t know… amnesia? Headfirst into the brick wall of marketing. Funny, I work in marketing these days, but NOT in book marketing. What seemed so clear and easy for me: writing, formatting — it was crystalline, exact. Book networking and getting the word out feels squishy, and tenuous. Most importantly, it demands time that I don’t feel I have, working a regular job, wanting to be with my family, and keeping up with my writing for volume two. I realize other do it and more with energy reserves to spare, but I am such an old fart! I also realized I can’t worry about marketing. I’ll do what I can do, and it will just have to be enough. My time will be better spent writing more. I think. Of course, everybody on the massive tubes of the interwebs says I’m wrong, and that I have to spend thousands to market what might only net me hundreds. Of course, the people telling me that are only too keen on me spending those thousands with THEM. Ok, the meat of the article. Here are some links. I do not guarantee their veracity as I am just now starting to investigate them. But feel free to check them out yourselves, and if you find any useful, comment and we’ll all narrow these down, perhaps. It’s FREE STUFF Valentine’s DAY! 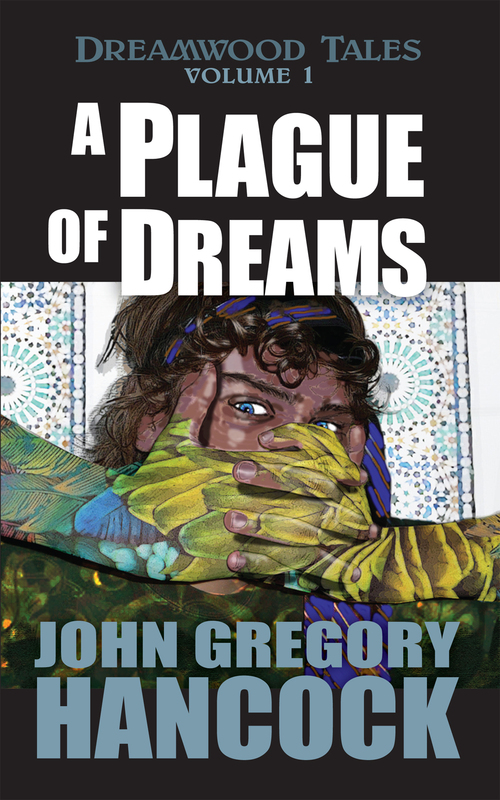 you can download the kindle version of my book “A Plague of Dreams” for FREE. Yes, that’s right for free, if you have a kindle. Don’t miss this opportunity. And of course, if you DO download it and want to share a review, then that’s like a decent human thing to do. You are human, right? ok, then. Although I guess an artificial intelligence is allowed to have an opinion on the book. I’m not sure of the Amazon rules on that. At any rate, I HOPE you download it, read it and enjoy it. and, if you forget until tomorrow, that’s ok, too. But it won’t be free.